New work by Miami based R & R studios. You have seen their work all over Miami. The “Big M” at the metromover entrance in Downtown Miami and the huge Living Room in the Design District. 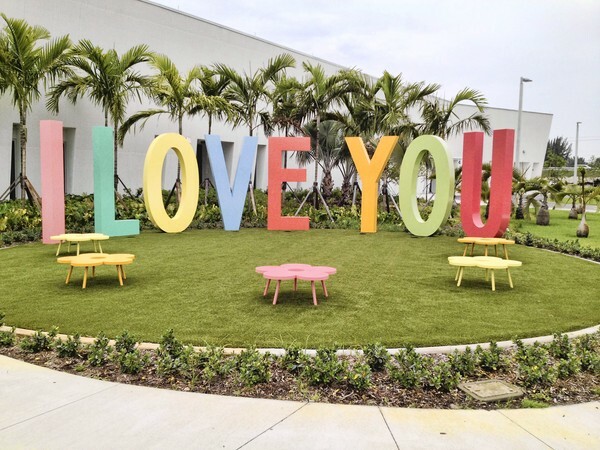 This ” I LOVE YOU,” public art is located at the Young At Art Museum and Broward County Library at 751 SW 121st Ave.